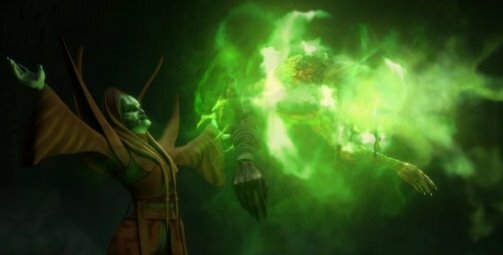 In the past couple of TCW trilogies (the "Nightsisters"[TCW3] and "Overlords"[TCW3] arcs), the Force witches of Dathomir and the Force-Wielder family on Mortis both seem to have their magical Force-related events surrounded by a mysterious green fog. With regards to Dathomir, this was seen in regards to healing efforts, transformations of living things, and in some cases of the creation of objects as if by Force-replicator. 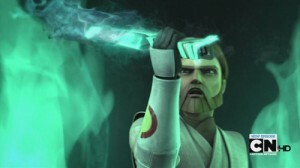 In the case of Mortis, this was especially the case in regards to the Father, his lair, and his powers, and the cave with the magic sword that can kill folks who could otherwise apparently eat lit lightsabers for breakfast. 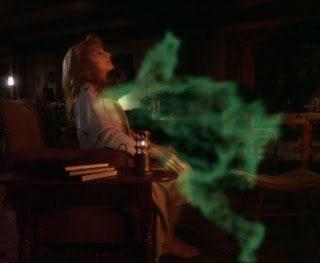 And although there's naturally no real connection, I couldn't help but make connections between the two franchises, and in the process was reminded of Dr. Beverly Crusher's affair with the mysterious green fog known as Zorro the Space Ghost from Scotland: The Planet, otherwise known as the being Ronin residing on planet Calder II ("Sub Rosa"[TNG7], from the Latin for "final season filler material"). Zorro the Space Ghost was an anaphasic lifeform (from the Latin for "alien guy best described with technobabble") that needed a compatible biological host in which to reside due to his unstable anaphasic nature. 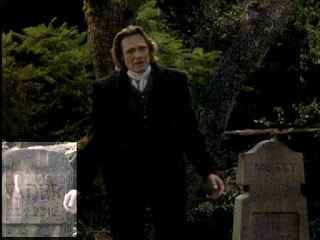 So he plied the women of Crusher's family with sweet words and fantasies and orgasmic bliss, occasionally appearing as Zorro from the early 1990's TV show. (Apparently the Family Channel was big on colony worlds, since Chakotay would occasionally have vision quests featuring Zorro's second dad.) 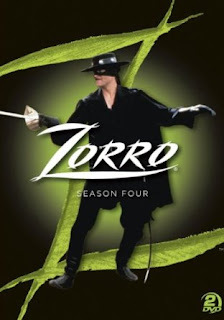 At other times when not practicing his proverbial swordsmanship, Zorro would disappear into a big green fog. Zorro the Space Ghost had some familiar abilities. He was capable of shooting out lightning capable of killing incomprehensible people, and was also known for moving objects around and otherwise wreaking havoc on things. And, once he infused himself into a person, their eye color changed. So I think what we have going on here is that the Force is really just some anaphasic energy in the Star Wars galaxy being manipulated (or doing some manipulating). Whereas the Howard women of Scotland: The Planet were subject to the sentient Force being known as Zorro the Space Ghost, the Star Wars galaxy is more full of the Force in general, perhaps more like a simple jungle-esque ecosystem of anaphasic lifeforms with no discernible intellect . . . that is to say, Force plants. And these Force plants inhabit our Jedi heroes and Sith villains with their high midichlorian counts (read: compatible biological hosting plans, now with Frontpage extensions and e-commerce shopping carts), seeding them and taking root within them just as surely as Zorro wanted to merge with Dr. Crusher. Of course, there are other possibilities, such as a whole community of non- or semi-sentient Force beings more like animals, or perhaps merely a general field of widespread anaphasic energy almost like a Force ocean. But given how those Jedi hippies are always a-twitter over the w(h)ill of the Force and having it speak to them and so on, I'm really thinking it best to go with some sort of plant theory, here. That way, much as tree-huggers on Earth might declare that a plant has spoken to them and told them things, so too might the Jedi think there's more to the Force than there really is. Similarly, while plants and ecosystems and so on might react to stimuli . . . blooming in the sun, dying in the winter, and so on . . . so too might the Jedi read this flowering or malaise in a way that makes them feel as if the Force is guiding them. Which is true, to an extent, because just as a plant will grow toward the sun, so too might it draw a Jedi toward whatever seems nurturing and away from whatever seems harmful. And as we saw on Mortis, the darker side of the Force did have a habit of killing plants, and the light side had a habit of restoring them. I would further submit that the light side / dark side struggle may not represent good and evil per se, but could simply be something between different plant species. Perhaps it's the difference between a lovely and lush lawn full of the most pristine turfgrass and an invasive, pernicious crabgrass weed species bent on uglying up the yard . . . neither are evil. Both are merely doing what they do, and it's really the same thing . . . just one's called a weed and the other is called lawn grass. Perhaps hostile emotions and whatnot merely output biochemistry that makes one (and one's midichlorians) a better host for the crabgrass and a worse host for the preferred lawn grass . . . that would go a long way toward explaining the weirder philosophical aspects of the two. And we don't even have to assume that an individual is single patch of ground covered in one grass or the other . . . much like a sprawling yard, there may be areas of light and dark within every person. That anaphasic plant species difference might also explain the rather off-green eye color of Sith and other dark side folks . . . perhaps the crabgrass causes a yellowish tinge regarding the ocular effects. And, of course, as if we needed any more connection, there's a Vader in Planet Scotland's cemetary! Now that it is 2015 instead of 2011, we know a bit more about the Force ... or a bit less since there's more confusing stuff, such as the minor bit of the Frangawl Cult's relationship with Mother Talzin in exile and the major stuff of the aforementioned Yoda arc which followed. We mostly would just have to work in the masked Crazy Force Spinny Chicks and the notions from "Destiny"[TCW6] et alia where midichlorians come from a particular world and that there is a Living Force and Cosmic Force, but, to be quite honest, quasi-religious mumbo-jumbo (religiobabble?) gives me a headache, and I don't smoke the sort of "Force grass" that would probably be needed to understand it. So, for now, until I decide to tackle the dual Forces and such, I'll just sign off. I haven't figured out a good way to factor a DeLorean built by a crazed relative of Kruge post-Augment virus (who liked being called Doc because it reminded him of d'k tagh (or however the hell you spell the Klingon dagger) ) into the Temporal Cold War story. But give me time. No pun intended.